This set of spacemaker vacuum bags features 1 x-large, 2-medium and 2-small storage bags. Once sealed, your items are free from dust, mold, mildew and insects. 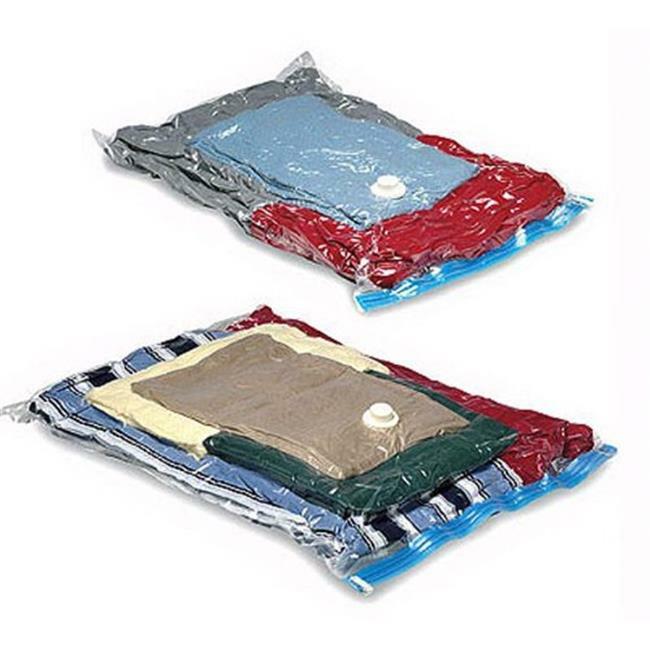 These bags can be stored in a basement, attic or the garage. The unique design creates the airtight seal that maintains the vacuum in the bag. The bags work with most standard vacuum hoses and creates a watertight and airtight seal for long-term storage. These reusable bags are perfect for seasonal clothing, bulky pillows or blankets or anything you want to store in an airtight and watertight environment.